As I mentioned in previous posts, I was fortunate to participate in the Iron Brewer competition this year. When signing up for Iron Brewer, a contestant agrees to brew a beer that features the three special ingredients and to send two bottles of the beer to the judge and to each of the other seven contestants in the round. This is the actual cost of Iron Brewer because, while it is free to sign up, the shipping costs for all of those packages can be staggering (approaching $100). Additionally, the contestants each agree to provide a brief brewing biography and a full recipe. My biography and recipe can be found on the Iron Brewer website, along with the others from the round. Finally, the contestants agree to participant in a live conference-call judging session to wrap-up the round and announce the winner. The judging session was something I was looking forward to for quite a while. Besides symbolizing the final part of the round, it allows each of the brewers to present the fruit of their labor to a receptive audience. My homebrewing club, CAMRA, does something similar at the end of our meetings, though not as formal, and it is the part of the meeting I most enjoy. As a whole, homebrewers are an interested an gracious audience; one that will hopefully provide constructive criticism, but one that is also appreciative of a brewers efforts. The Iron Brewer judging session was an hour and a half of trying other people's beer and hearing their stories. It was very cool to see how each of the brewers could take the same three base ingredients and come up with a wide variety of styles and flavor profiles, ranging from an IPA to a beer designed to taste like Turkish delight candy. My personal experience was further enriched by having both my wife and the owner of our local homebrewing store, The Fermentation Trap, on hand to try the contestant beers and compare perceptions with me. Each beer's score is a composite of the Iron Brewer judges selections for first and second place, which is weighed 75 percent of the total, and the scoring from the contestants on the conference call, which is weighed the remaining 25 percent. In the end, I did not win. I received some nice scores from the other contestants (one first place and one second place, if I remember correctly). The winning beer was It Must Have Been the Roses, by Amy Gentry. It was a fantastic beer, with a wonderfully refreshing hop and rose hip combination that was augmented by ginger (the second bottle was secreted away by my wife, so she could enjoy more of it later). Amy now moves on to the championship round to take on the other winners from the previous 2011 rounds. I wish her the best of luck. Iron Brewer was a lot of fun and I intend to participate again next year. I would encourage any of our readers to consider doing the same. If there was only a way to reduce the shipping costs somehow. 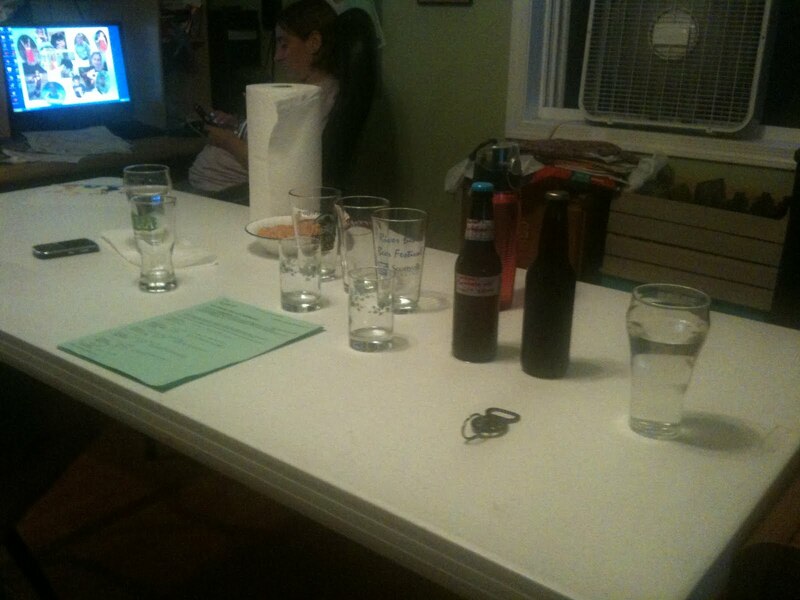 However, the judging conference call and tasting was the most fun part of the whole process, and that is only possible if all of the contestants have each other's beer.